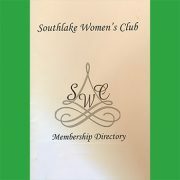 « Red Carpet Glam Holiday Event – RESCHEDULED See SWC Winter Soiree! Join us for this special holiday luncheon at Kirby’s Steakhouse! You will enjoy delicious food and have a great time with friends, old and new. 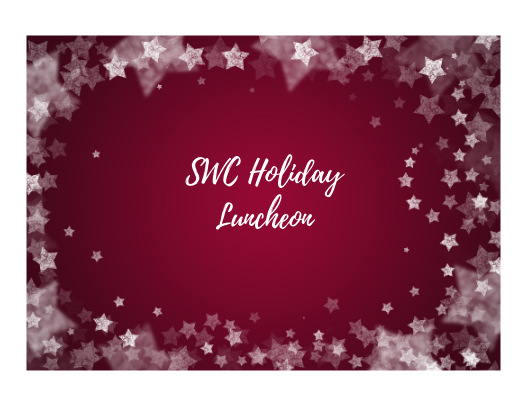 We do not have a speaker at this luncheon, so to add some fun, we will have a Chinese gift exchange at each table! Please bring a $20 wrapped gift. This can be a “re-gift” to make it easy or a new gift. The specially prepared menu includes a choice of entree 1) Salmon 2) Steak or 3) Vegetarian. Please make your selection when you purchase your ticket for the luncheon. This luncheon is limited to the first 76 ladies that purchase a ticket, so do it today!